A Master stood before his students and had some items in front of him. When the class began, he wordlessly picked up a very large and empty mayonnaise jar and proceeded to fill it with golf balls. He then asked the students if the jar was full. They agreed that it was. 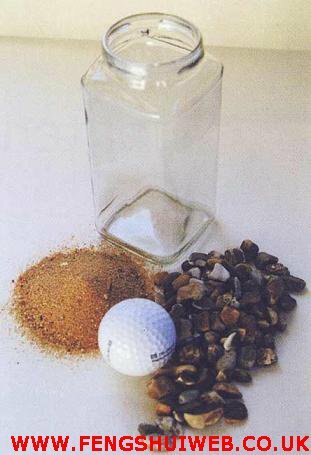 The master then picked up a box of pebbles and poured them into the jar. He shook the jar lightly. The pebbles rolled into the open areas between the golf balls. He then asked the students again if the jar was full. They agreed it was. The master then produced two Beers from under the table and poured the entire contents into the jar effectively filling the empty space between the sand.The students laughed..
‘Now,’ said the master as the laughter subsided, ‘I want you to recognize that this jar represents your life. The golf balls are the important things—-your family, your children, your health, your friends and your favourite passions—-and if everything else was lost and only they remained, your life would still be full. The pebbles are the other things that matter like your job, your house and your car.. The sand is everything else—-the small stuff. One of the students raised her hand and inquired what the Beer represented. The master smiled and said, ‘ I’m glad you asked.’ The Beer just shows you that no matter how full your life may seem, there’s always room for a couple of Beers with a friend.